There are fifteen national parks in Spain: ten in the Iberian Peninsula and five in the Canary Islands and the Balearic Islands. 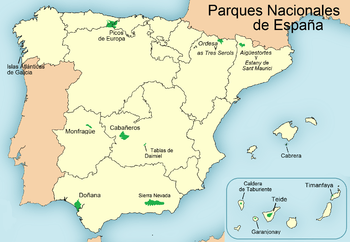 Twelve of the seventeen autonomous communities of Spain have national parks. 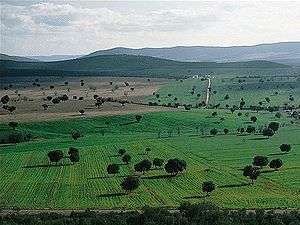 Canary Islands has the most (four), followed by Andalusia, Castile-La Mancha and Castile and León (two each). There are five autonomous communities that have no national parks: Basque Country, La Rioja, Murcia, Navarre, Valencian Community. About 10 million people visited Spanish national parks in 2009, with Teide accounting for about 30% of all visitors. 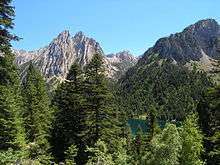 The second most visited park was Picos de Europa (18%), followed by Timanfaya (13%). 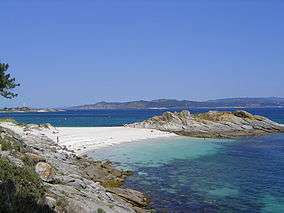 The least visited parks were Cabrera Archipelago (0.60%) and Cabañeros (0.90%). With more than 2.5 million visitors in 2013, Teide was the most visited national park in Europe that year, and sixth most visited in the world. 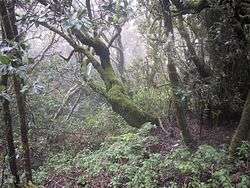 ↑ "El del Teide es el parque nacional más visitado". La Opinión de Tenerife (in Spanish). 23 August 2010. Retrieved 5 November 2015. ↑ Millet, Daniel (10 February 2014). "El Teide se sitúa entre los diez parques nacionales más visitados del mundo". La Opinión de Tenerife (in Spanish). Retrieved 5 November 2015. ↑ "Aigüestortes i Estany de Sant Maurici: El medio natural". magrama.gob.es (in Spanish). Ministry of Agriculture, Food and Environment. 2015. Retrieved 4 November 2015. 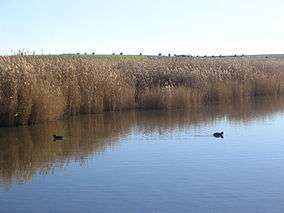 ↑ "Aigüestortes i Estany de Sant Maurici: Ficha técnica". magrama.gob.es (in Spanish). Ministry of Agriculture, Food and Environment. 2015. Retrieved 4 November 2015. ↑ "Cabañeros: Valores naturales". magrama.gob.es (in Spanish). Ministry of Agriculture, Food and Environment. 2015. Retrieved 4 November 2015. ↑ "Cabañeros: Ficha técnica". magrama.gob.es (in Spanish). Ministry of Agriculture, Food and Environment. 2015. Retrieved 4 November 2015. 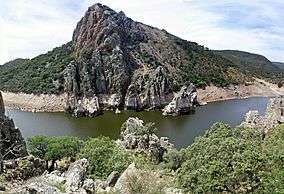 ↑ "Archipiélago de Cabrera: La isla". magrama.gob.es (in Spanish). Ministry of Agriculture, Food and Environment. 2015. Retrieved 4 November 2015. 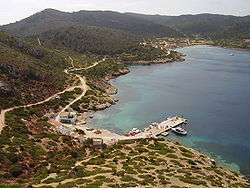 ↑ "Archipiélago de Cabrera: Ficha técnica". magrama.gob.es (in Spanish). Ministry of Agriculture, Food and Environment. 2015. Retrieved 4 November 2015. ↑ "Caldera de Taburiente: Ficha técnica". magrama.gob.es (in Spanish). Ministry of Agriculture, Food and Environment. 2015. Retrieved 4 November 2015. 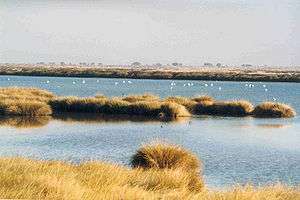 ↑ "Doñana: Ficha técnica". magrama.gob.es (in Spanish). Ministry of Agriculture, Food and Environment. 2015. Retrieved 4 November 2015. ↑ "Garajonay: Ficha técnica". magrama.gob.es (in Spanish). Ministry of Agriculture, Food and Environment. 2015. Retrieved 4 November 2015. ↑ "Sierra de Guadarrama: Ficha técnica". magrama.gob.es (in Spanish). Ministry of Agriculture, Food and Environment. 2015. Retrieved 4 November 2015. ↑ "Islas Atlánticas de Galicia: Ficha técnica". magrama.gob.es (in Spanish). Ministry of Agriculture, Food and Environment. 2015. Retrieved 4 November 2015. ↑ "Monfragüe: Ficha técnica". magrama.gob.es (in Spanish). Ministry of Agriculture, Food and Environment. 2015. Retrieved 4 November 2015. 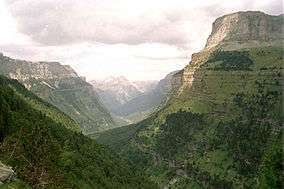 ↑ "Ordesa y Monte Perdido: Ficha técnica". magrama.gob.es (in Spanish). Ministry of Agriculture, Food and Environment. 2015. Retrieved 4 November 2015. 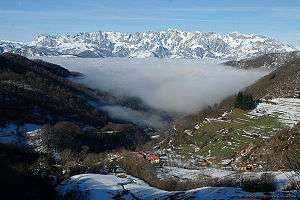 ↑ "Picos de Europa: El medio natural". magrama.gob.es (in Spanish). Ministry of Agriculture, Food and Environment. 2015. Retrieved 4 November 2015. ↑ "Picos de Europa: Ficha técnica". magrama.gob.es (in Spanish). Ministry of Agriculture, Food and Environment. 2015. Retrieved 4 November 2015. ↑ "Sierra Nevada: Medio natural". magrama.gob.es (in Spanish). Ministry of Agriculture, Food and Environment. 2015. Retrieved 4 November 2015. ↑ "Sierra Nevada: Ficha técnica". magrama.gob.es (in Spanish). Ministry of Agriculture, Food and Environment. 2015. Retrieved 4 November 2015. ↑ "Tablas de Daimiel: Ficha técnica". magrama.gob.es (in Spanish). Ministry of Agriculture, Food and Environment. 2015. Retrieved 4 November 2015. ↑ "Teide: Ficha técnica". magrama.gob.es (in Spanish). Ministry of Agriculture, Food and Environment. 2015. Retrieved 4 November 2015. ↑ "Timanfaya: Ficha técnica". magrama.gob.es (in Spanish). Ministry of Agriculture, Food and Environment. 2015. Retrieved 4 November 2015.